The national ACH network will be updating to Same Day ACH on September 15. While the speed of Same Day ACH transactions will help you maintain a clearer picture of your finances, the change may take some getting used to. Coconino Federal Credit Union recommends getting in the habit of checking your balances daily. 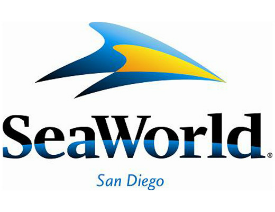 For many years we have sold discount tickets to Sea World, now instead of stopping at a branch to purchase them you can now buy them direct from Sea World and still get a great discount! One more convenient benefit of being a member of Coconino Federal Credit Union! We have partnered with Get Away Today to offer you fantastic deals on Disney Vacations and MORE! Disney Resort or Disney World, Get Away Today has you covered, thinking about going to San Diego, Lego Land or Universal Studios, there are deals to be had. Get-Away Today has great deals and the credit union does not receive any income from anything purchased, Get Away Today donates thousands of dollars every year to Children's Miracle Network to help Children's Hospitals across the country!